Lava continued to erupt within Pu`u `O`o over the past week, feeding a small lava lake in the center of the crater. Several small vents opened on the east margin of the crater floor on Tuesday, April 26, feeding additional flows into the lava lake, which remains about 85 m (280 ft) below the east rim of Pu`u `O`o. No lava is erupting outside the crater. 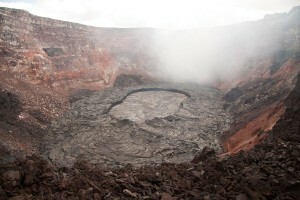 A small lava lake was also present deep within the Halema`uma`u Overlook vent during the past week. The lava level fluctuated gently over periods of several days due to deflation-inflation cycles. Volcanic gas emissions remain elevated, resulting in relatively high concentrations of sulfur dioxide downwind. 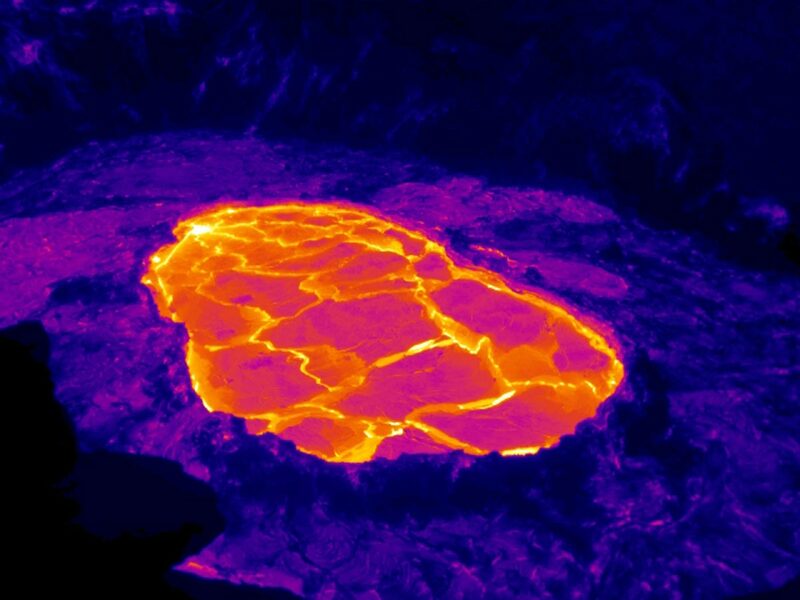 A small lava lake, confined by slightly elevated levees, is active at the bottom of Pu`u `Ō `ō crater. The lake is roughly the same size as a football field. One earthquake beneath Hawai`i Island was reported felt this past week. A magnitude-2.5 earthquake occurred at 9:23 a.m. HST on Wednesday, April 27, 2011, and was located 14 km (8 mi) southeast of Waimea at a depth of 42 km (26 mi). ← Volcano Watch: What’s next for Kilauea’s east rift zone?